Boasting a “who’s who” of architects, tenants and guests, this San Francisco landmark building is the place to be seen, heard or celebrated. 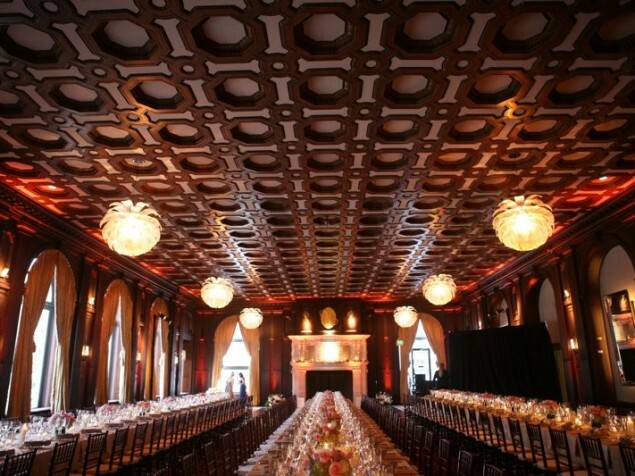 The Merchants Exchange Building, now over 100 years, remains one of San Francisco’s most sought-after venues for meetings and events, and it has always been a prestigious address for its tenants. The well established and classically inspired architect, Daniel H. Burnham, designed the 16-story building along with local architect Willis Polk. 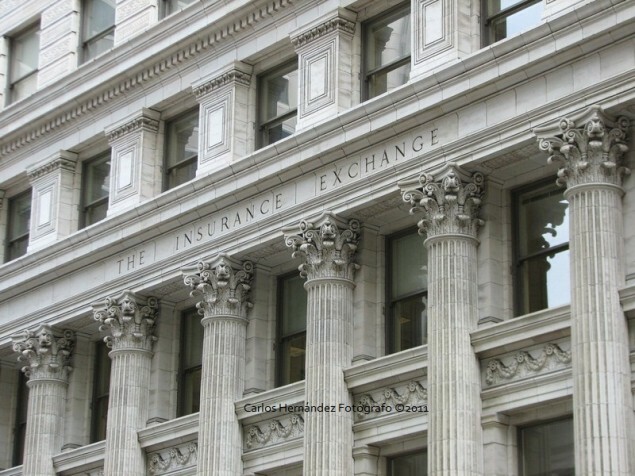 To the credit of this “dynamic duo” and their engineering team, the Merchants Exchange Building survived the devastating earthquake of 1906 and thus became a symbol of the City’s strength and resiliency. 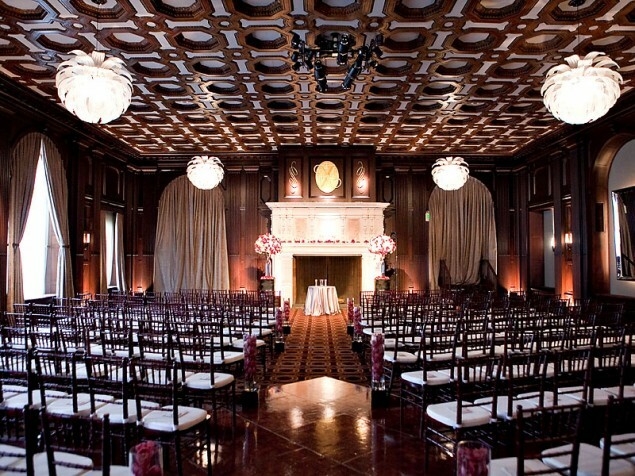 The Julia Morgan Ballroom is a unique historic space that can serve a variety of event objectives. The walls are of delicately carved wood paneling with classically detailed pilasters on either side of the window openings. 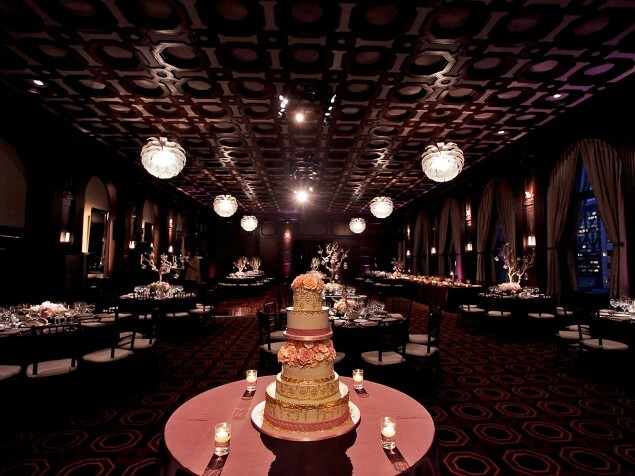 Upon entering the ballroom, your attention is drawn to the far end of the room and the prominent, carved-stone fireplace. The ceiling is a coffered pattern of mahogany elements with decorative octagonal accents. The petal-like, spherical orbs, are suspended from the ceiling to provide soft illumination. 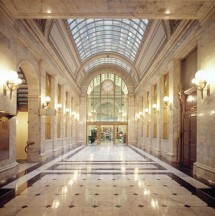 The Merchants Exchange Building also has a dramatic and architecturally significant entrance lobby. This ground floor space provides a stunning classical setting for after-hour events. The lobby features a grand barrel-vaulted ceiling and is luxuriously appointed with white marble, accented with gold leaf and bronze trim. This space is equally brilliant by day or by night and provides a flexible, column-free space for weddings, product launches and receptions. 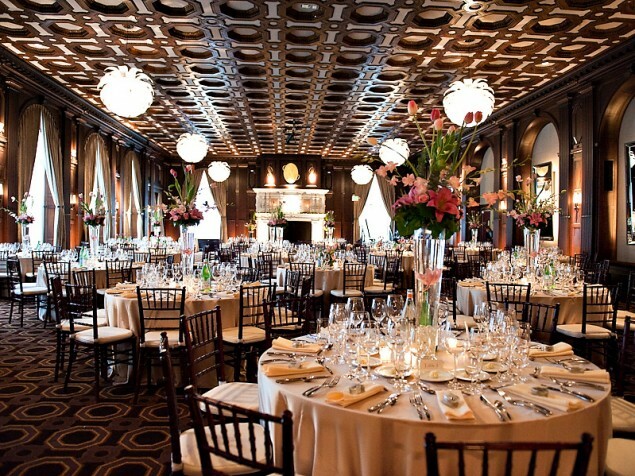 A proven, class-act San Francisco venue that meets the demands and complexities of modern-day events, with a choice of historical spaces and full event support, all under one roof.